Inspired by Chanel nail color again. 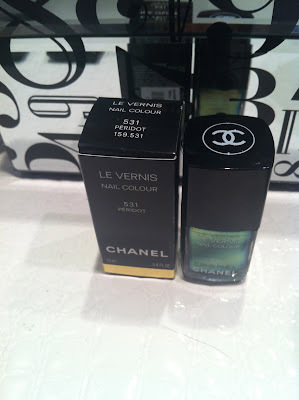 So you may remember my post on Atlanta Fashion Week and our trip to Saks for the Chanel Nail Bar. 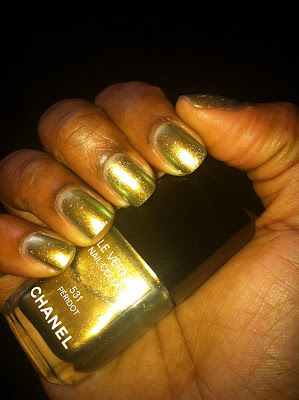 I fell in love with Peridot but opted to buy Black Pearl instead. Well, I scored an amazing gold jacket that I wore to the Jay Z concert. I just knew this was the right nail polish to rock with it. Check out the outfit it inspired, tomorrow. Stay Posh!